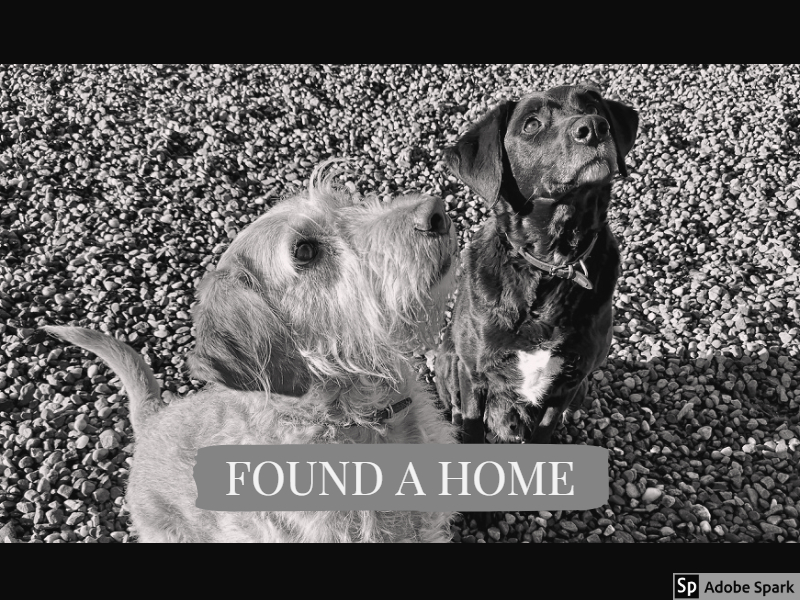 8 year old dogs, Willow (Labradoodle) and Tigger (Springador) would love a home together. Very distressing circumstances brought them to having to be surrendered to us and Tigger’s insecurity would be helped if his buddy Willow could be with him. They have both lived with Chihuahua’s and are happy around them but are not used to cats. They have not lived with smaller children, so dog savvy children 8+ in their new home would be sensible. Tigger and Willow will cry if left for long periods so there should be someone in and around the house most of the day to keep them company. This entry was posted in Found a Home and tagged adoptadog, Rescue Dog.